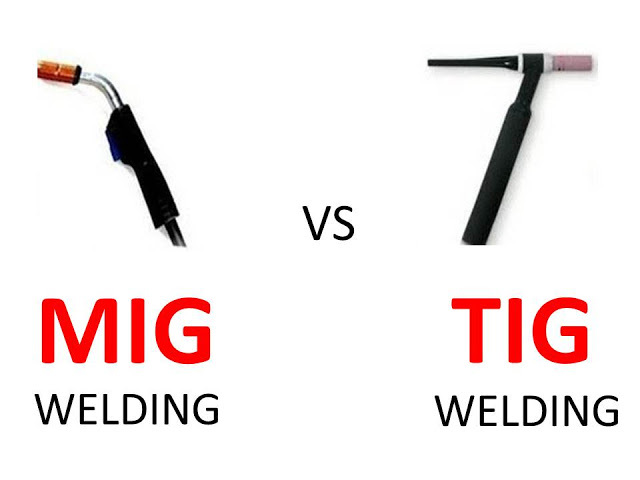 Today we will discuss difference between MIG and TIG welding. These are two main types of welding. The term MIG is stand for Metal inert Gas welding and TIG is stand for Tungsten Inert Gas welding. These are widely use for joining a verity of shapes and material. Today we will learn the main difference between them. 1. This welding is known as metal inert gas welding. 1. This is known as tungsten inert gas welding. 2. Metal rod is used as electrode and work piece used as another electrode. 2. Tungsten rod is used as electrode. 3. It is gas shielded metal arc welding. 3. It is gas shielded tungsten arc welding. 4. Continuous feed electrode wire is used which are fast feeding. 4. Welding rods are used which are slow feeding. 5. The welding area is flooded with a gas which will not combine with the metal. 5. Gas is used to protect the welded area form atmosphere. 6. TIG weld things like kitchen sinks and tool boxes. Pipe welding and other heavier tasks can also be performed, you just need to have a unit that is capable of putting out the amount of power that you need. 7. MIG requires consumable metallic electrode. 8. 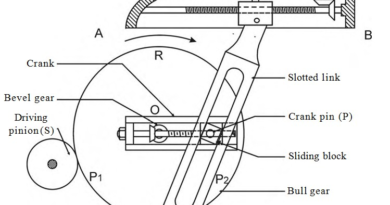 Electrode is feeded continuously from a wire reel. 9. DC with reverse polarity is used. 9. It can use both A.C and D.C.
10. Filler metal is compulsory used. 10. Filler metal may or may not be used. 11. It can weld up to 40 mm thick metal sheet. 11. Metal thickness is limited about 5 mm. 12. MIG is comparatively faster than TIG. 12. TIG is a slow welding process. Today we have learn about main difference between MIG and TIG welding. If you have any query regarding this article, ask by commenting below. Subscribe our website for more informative articles. Thanks for reading it. ← What is Wind Turbine? What are Main Types of Wind Turbines?